A lush bouquet of flowers in the bride’s hands serves a lot more than just adding to the aesthetic appeal. The bouquet is traditionally tossed by the bride as a playful way to give away a bit of her good luck to whoever catches the bouquet. So, as you can imagine already the wedding bouquet has quite some significance and we are here you help you through to pick the perfect one for yourself. Head over to the right online store and you will be welcomed by an array of wedding flowers in absolutely mesmerizing colors. From traditional ivories to trendy yellows and everything in between, you can get it all with just a few taps on your keyboard. In case you are looking for a timeless look then you can pair your ivory wedding dress with an ivory or blush pink bouquet. In case you want a pop of color to break the monotone then go for vibrant purple, eye-catching red or popping yellow. You can also opt for a bouquet with a rainbow of colors lent by the flowers to match your colorful personality. The diversity of the shapes and sizes of flower bouquets available in the market today is astonishing. The one you pick for your wedding should not only go well with your outfit but should also flatter your body and style. If you are a petite woman then avoid overwhelming your frame with a huge bouquet. A small, rounded style will suit you the best whereas a bigger bouquet will definitely compliment someone with a fuller frame. A cascading bouquet not only looks regal but also adds some visual length to the body by drawing the eyes downwards. 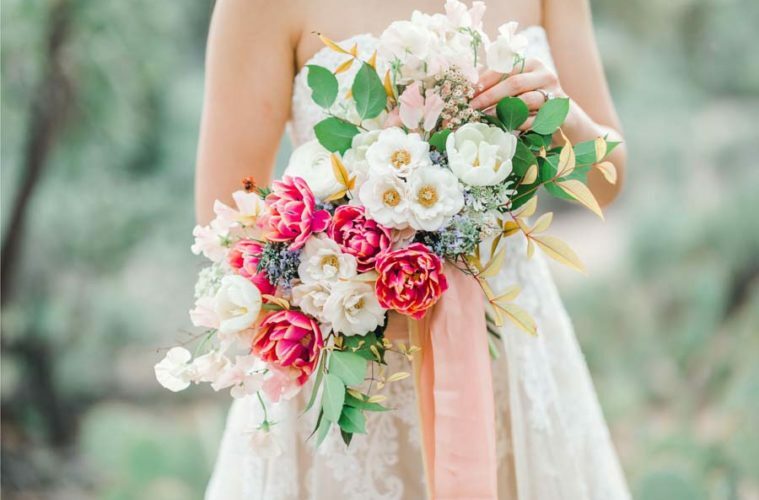 If you want a classic bridal look then a bouquet made out of roses or peonies in soft shades like ivory, beige, champagne, and blush is your best bet. They pair beautifully with elaborate princess-inspired gowns with voluminous skirts. If your taste is more minimal then sleek bouquets made out of lavender or lilies are a great option. They are a great way to complement a minimal wedding dress for an overall coherent look. 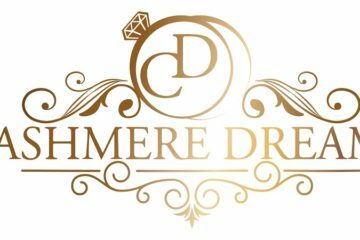 In case you want all the glam at your wedding then unique crystal bouquets is a stunning choice. If you have a heavily embellished wedding dress then a crystal bouquet will add to the glitz in a tasteful way. On the day you want everything to be perfect a wilting bouquet could be a stark blemish on your otherwise perfect wedding. This is why a fresh flower bouquet is best avoided. Instead, flowers made from fabrics like silk, satin, tulle, and organza are your best friend. Flowers made out of luxurious silk are the most natural looking but they do come for a price. Satin flowers give a similar look on a budget. Organza flowers, on the other hand, give a very appealing whimsical look to the flowers.